Some wasps are aggressive species and can sting when threatened. 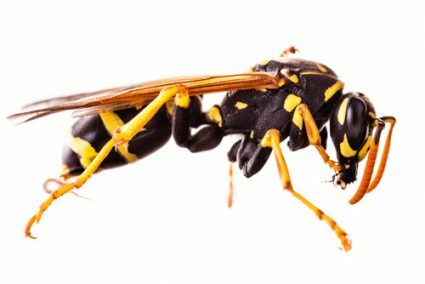 Unlike honey bees, wasps often are capable of stinging multiple times. Signs are dependent on species, but most often the workers and the nest are the most likely signs. Generally, wasps get in through openings that lead inside homes or commercial buildings. They are looking for food, nesting sites or to hibernate. Look for wasps in wall voids, attics. Wasp nests inside may damage the wallboard or ceiling.